Make your Christmas the most memorable one yet with our latest collection of classic Christmas Bouquets and Wreaths. Now that we are into the start of December, it's long until Christmas day is upon us and we are celebrating with our family and friends. To help with your Christmas Shopping, here at Clare Florist we have been busy creating wonderful Christmas Bouquets and Xmas Flowers which are sure to bring a festive touch to your home. Our stunning range of Christmas flowers are the ideal way to enhance your festivities, and with many available with extra savings, they are the perfect gift for sending to loved ones this December. 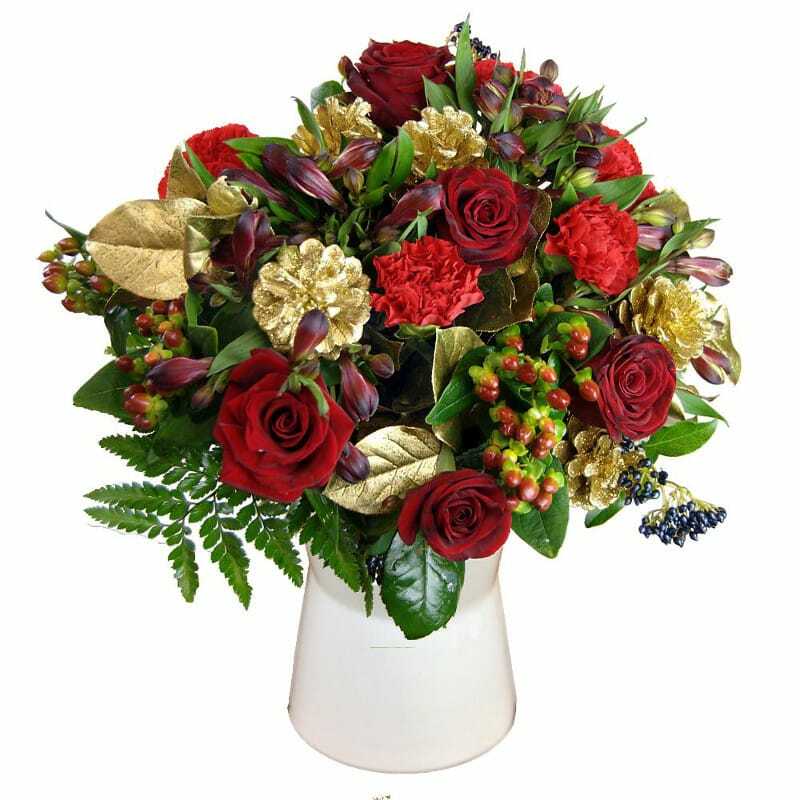 We have a stunning variety of Christmas bouquets to choose from, including our lovely All that Glitters bouquet featuring gorgeous red roses and gold pine cones. Be sure to also check out our Festive Fresh Holly Wreath which is the perfect decoration to your door. Our bouquets make an ideal winter centrepiece upon your dining table for when you have guests over, and all orders included free standard next day delivery to help you beat the Christmas Rush! Make sure to order from our Christmas Range today and ensure your loved one gets a festive floral gift this year that they will cherish.